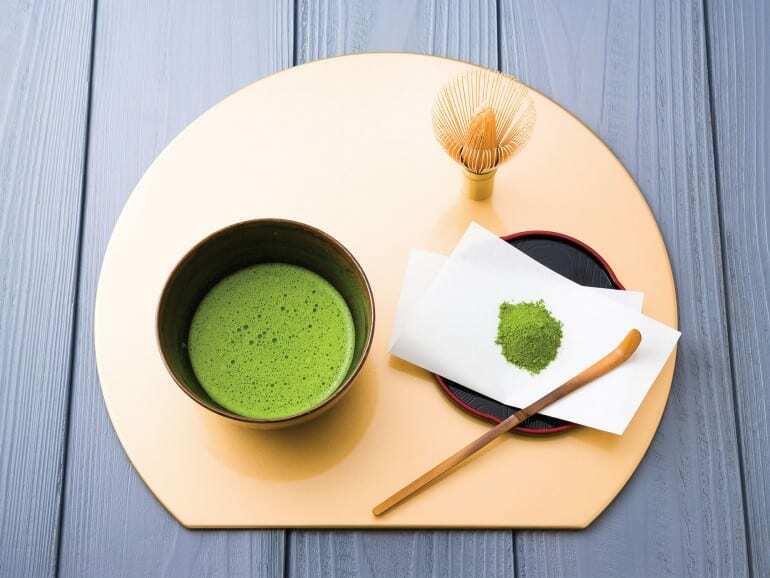 Of all the varieties of Japanese green tea, perhaps the most highly prized of them all is matcha, little wonder that itfs the type of tea thatfs used in the traditional Japanese tea ceremony. Matcha tea plants are grown in the shade for about 20 days before harvesting to encourage the production of theanine, an amino acid that gives the tea its umami. After harvesting, matcha tea leaves are steamed, dried in the shade (rather than being rolled out) and ground down into a powder using a stone mill after being de-stemmed and de-veined. It is completely dissolved into water when itfs brewed and is considered to be the variant with the most health benefits for this reason: It allows you to fully ingest all the nutrients and antioxidants present in the tea. Matcha is usually prepared in two ways: Usucha and koicha. Usucha is also known as gthin teah and is commonly served in comonly served in Japanese restaurants and cafes. Koicha, on the other hand, is made with a lot less water and twice the amount of matcha for a thicker texture. Both usucha and koicha are mixed with a bamboo whisk to break up clumps in the mixture. Koicha is usually made with matcha from older tea plants for a milder and sweeter taste than usucha. You can also expect a far deeper flavour that you definitely would not get with coarser grades of tea. Because of the intense flavour of matcha, itfs now a popular ingredient in ice cream, sweets, and even cocktails. For those on the lookout for a healthier alternative to coffee, matcha is a good option. The combination of theanine and caffeine gives the drinker an energy boost, sans the jitters and unpleasant caffeine crash you get with coffee.